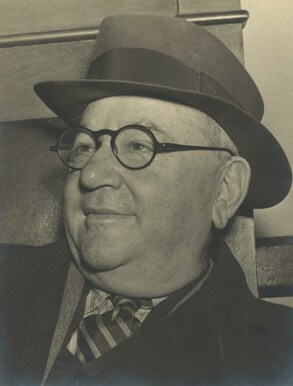 In announcing the March 1921 indictments of the players and gamblers involved in the Black Sox Scandal, Cook County (Illinois) State’s Attorney Robert Crowe announced that the World Series fix originated in St. Louis, specifically with Carl Zork and Benjamin Franklin, rather than in Boston and New York by the Eastern clique of Arnold Rothstein, Sport Sullivan, and Abe Attell. The early investigations of American League President Ban Johnson centered on St. Louis, as disappointed gamblers there fingered the Midwesterners.1 Yet despite this focus on the St. Louis connection, relatively little has been done on the lives of the gamblers involved. It is impossible to properly asses the validity of the “Midwestern” thesis unless we know more about the principals. Des Moines gambler David Zelcer's involvement was covered in an excellent article by Ralph Christian on the Des Moines connection in SABR's Black Sox Scandal Research Committee June 2013 newsletter.2 This article will try to flesh out the life of Ben Franklin. Franklin bought horses for the Army during World War I. In this job he traveled to Iowa, where his daughter, Vivian, was born in 1918. He would have traveled throughout the Midwest, including Des Moines and Omaha. He may have met Des Moines gambler David Zelcer in these travels, though there is no evidence that he did. Alternatively, Zelcer may have met Franklin (and Carl Zork) during one of his stays in St. Louis. One article calls Franklin a “well-known gambler in Omaha … masquerading as a ‘mule buyer.’”4 However, Franklin shows only in the St. Louis city directories (not the Des Moines or Omaha directories) throughout the 1910s. Franklin tried to avoid appearing at trial, pleading “inflammatory rheumatism.” Franklin’s attorney offered a physician’s affidavit claiming he needed three weeks to recover from an “arthritic attack.”6 After some legal wrangling, the trial judge granted Franklin a separate trial. At the main Black Sox trial, St. Louis theater owner Harry Redmon testified that Ben Franklin had asked him for money after the third game in order to keep the ballplayers happy, but that Redmon and the other gamblers didn’t pony up. Redmon and Franklin were close — in fact, Franklin’s brother-in-law was Redmon’s business partner.7 According to Redmon, Franklin told him that eight players were in on the plot, and asked Redmon for $5,000 as part of a $20,000 pot to bribe the Black Sox the next two games.8 Joe Gedeon testified that after Game Three, Abe Attell, Sleepy Bill Burns, Franklin, Zork, and Redmon (among others) met at the Sherman Hotel in Chicago, trying to pool money together to pay the increasing rebellious Sox players and reinstate the fix. From the testimony, it seems clear that Franklin and Zork knew of the fix and conspired to keep it going. But their involvement seems to have been that of gamblers jumping on an existing fix, not gamblers initiating the fix. As with Carl Zork, Redmon’s testimony only tied Franklin to a post-Game Two fix attempt, not the pre-Series conspiracy charged in the indictments. Following the acquittal of the Black Sox, the pending charges against Franklin were dropped. In preparing this biography, the author relied primarily on major online newspaper databases, the Franklin family, and the author’s article for the Black Sox Research Committee Newsletter. 1 See the Crowe announcement, reported by the Portland Oregonian, March 27, 1921. The Midwestern origin thesis is followed by several historians. See David Pietrusza, Rothstein: The Life, Times and Murder of the Criminal Genius Who Fixed the 1919 World Series (New York: Carroll & Graf Publishers, 2003); Ralph Christian, “The Des Moines Connection to the Black Sox Scandal,” Black Sox Scandal Research Committee Newsletter, June 2013, 6-13; and Gene Carney, Burying the Black Sox: How Baseball’s Cover-Up of the 1919 World Series Fix Almost Succeeded (Washington, D.C.: Potomac Books, 2003). Susan Dellinger, Red Legs and Black Sox (Cincinnati: Emmis Books, 2006) adds a new layer of involvement by the Levi brothers. This biography of Ben Franklin is based largely on Bruce S. Allardice, “The St. Louis Connection: Carl Zork and Ben Franklin,” Black Sox Research Committee Newsletter, vol. 6 No. 2 (December 2014), 11-14. 2 Christian, op cit., which can be found in the SABR Black Sox Scandal Research Committee's June 2013 newsletter. These charges were aired early on. See “New Indictments Mean Fresh Drive on Conspirators Against Baseball,” The Sporting News, March 31, 1921. 3 St. Louis and East St. Louis City Directories, 1905, 1908, 1910, 1914, 1917, 1920; 1920 census of St. Louis. Other authors have confused this Ben Franklin with a St. Louis clothing merchant of a similar name and age, Ben A. Frankel (1877-1935), perhaps based on St. Louis Browns owner Phil Ball’s April 7, 1921, letter in the Black Sox Scandal papers, Giamatti Library, National Baseball Hall of Fame. Sharp-eyed readers will note Iva’s maiden name Evans. She was not a sister, or close relative, of known fixer Nat Evans (also of St. Louis) or of Joseph Evans, Harry Redmon’s partner. 4 Christian, op cit. Zelcer lived in the Statler Hotel, St. Louis, in 1918, per his World War I draft registration. 5 “Ben Franklin Denies Charge of ‘Fixing’ World Series Games,” Albuquerque Journal, March 28, 1921. 6 June 28, 1921, affidavit, Black Sox Scandal papers, Giamatti Library, National Baseball Hall of Fame. 7 Ben’s sister Sadie (1880-1956) married Joseph Erber (1877-1947), who co-owned St. Louis’s Majestic Theater with Redmon. One source accused Joe Erber of being in on the Fix. See “Identify St. Louis Gamblers Involved in Series Scandal,” Collyer’s Eye, October 9, 1920. 8 Redmon testimony, in “Baseball Plot Confessions Gone,” New York Times, July 23, 1921. Bill Burns testified that Attell had tried to raise $40,000 sometime after Game Two to keep the fix going, telling Burns that half ($20,000) had been “put up by a man from St. Louis, whose name was not brought out.” Burns’s testimony may refer to Franklin’s $20,000. 9 1930, 1940 Census of Fort Worth. Texas Death certificate, Tarrant County, No. 5180.